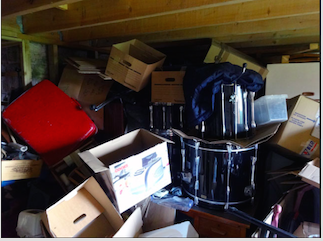 A house clearance is exactly that, clearing the house but it does not always have to be a full one which has resulted from a bereavement, it could be just a couple of rooms, a loft or cellar that you have decided you want to reclaim back from the junk that has been stored for months or years even. ‘It could also be the start of turning your life around’. Recent reports have shown that hoarding is not down to just OCD (Obsessive, Compulsive, Disorder.) But is a result of suffering from depression and everybody knows someone within their circle of family or friends who will have suffered from this. So you have to say ‘well done’ when they finally start to turn a corner and not judge them for what their house looks like now but that they want to start to make a change. We have helped with many a case like this and have always worked sensitively and ethically, never judging or making that person feel degraded but praising them for their achievement. This on many occasions takes quite a few visits to clear the rubbish as it can be very traumatic for that person. But we are always here and willing to help. Start by contacting us and ask for me Diane and we can take it from there. On a lighter note A level results are in and many students are now getting ready to enter the world of university with Fresher’s week just around the corner. Landlords will have cleared the old rubbish and junk from properties ready for your arrival. But when your parents wave you off wishing you all the best, do you know exactly what they are really thinking…. From walk-in wardrobes to guest bedrooms – 76 per cent of new students’ parents have grand designs for their kids’ rooms. Just under a quarter admit excitement over the house regaining tidiness, while over half are keen to transform the vacated room into a guest bedroom. A further third of parents plan to use their son or daughter’s bedroom for storage, while eight per cent of yummy mummies and dapper dads fancy bagging it for a walk-in wardrobe and five per cent would like an in-house gym. Read on. So all those times you were asked to tidy your room, revenge is upon you. So I wouldn’t be too hasty to give up after your first year, you might just find yourself homeless.